The National is a newspaper in the United Arab Emirates which was launched by ex-Telegraph editor Martin Newland in 2008. I worked on the website from 2008 to 2010. 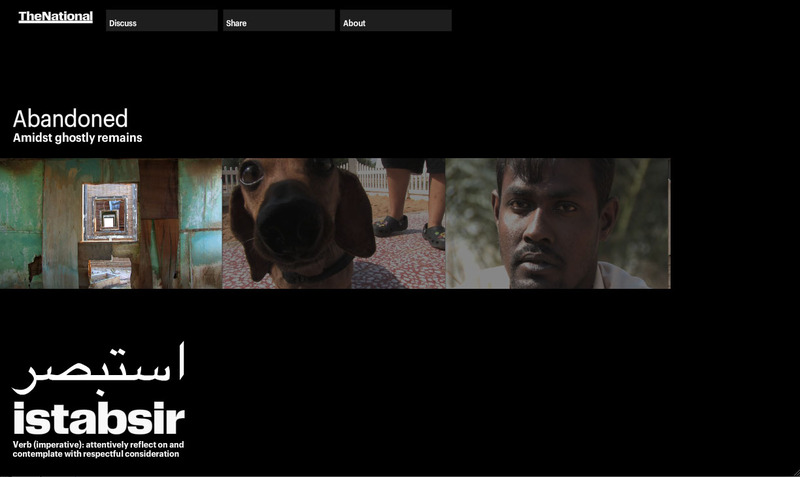 Istabsir was a multimedia project, which I designed and developed. It won an award from the Society for News Design in its Best of Multimedia Design Competition in 2010. 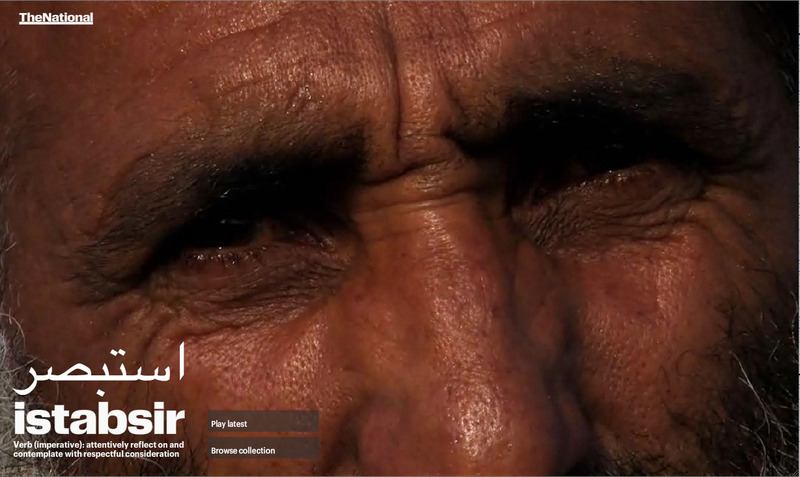 To create a pictorial and oral history of the UAE. Week on week the project aimed to become an evolving portrait of the country’s diversity, with subjects spanning age, race, religion, nationality and class. Finding interesting people from the UAE who have not featured in The National before, stories would have a range of tones: serious, shocking, funny and beautiful. Design and build a simple, attractive and user-friendly website, which acts as a stage for compelling storytelling using photographs, audio, video and words. Scalability is vital. If successful, the project could continue for many months, building up scores of stories in the process. Slideshow Pro handles the content and Twitter helps to increase interaction with the audience and generate story leads. The Abu Dhabi Film Festival praised the project’s “impressive design”. I was responsible for all aspects of design and development of the website. I conducted initial workshops to define objectives, created wireframes and interactions for the user interface and mapped out various user journeys. I built the website using Flash, HTML and CSS and conducted user testing at various stages using Silverback. I continue to analyse site performance metrics and gather user feedback to improve the site.